Benches come in different stylish and useful texture and designs and you can use variety of wood stuff to construct benches. Benches provide you with comfortable sitting and are commonly placed in outdoor areas of homes, parks, gardens, farmhouse, restaurants, food and drink bars etc. 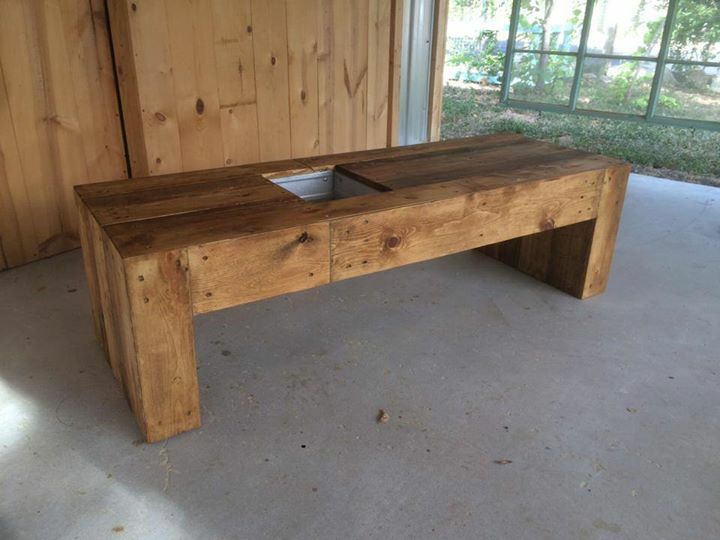 you may not be aware of pallets wood that is being very reliable in furniture construction. Pallets wood furniture looks very attractive and give rustic look to the environment. Pallets benches with planter space are great to place in gardens and even in indoor areas of homes and offices to give a natural decoration to the interior. Here, you can see the simple design of pallets bench with planter space but you can add lots of creativity and designing in constructing beautiful bench with pallets wood. 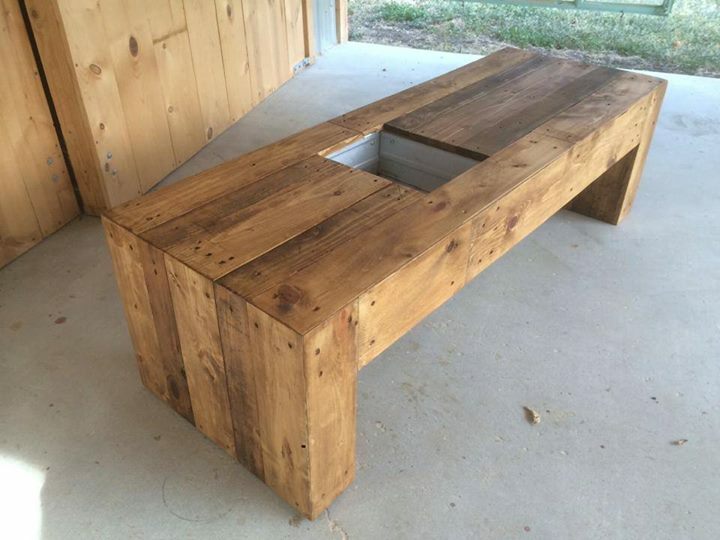 It is very easy and cheap to have pallets wood in your surrounding and lets you make stylish furniture pieces.